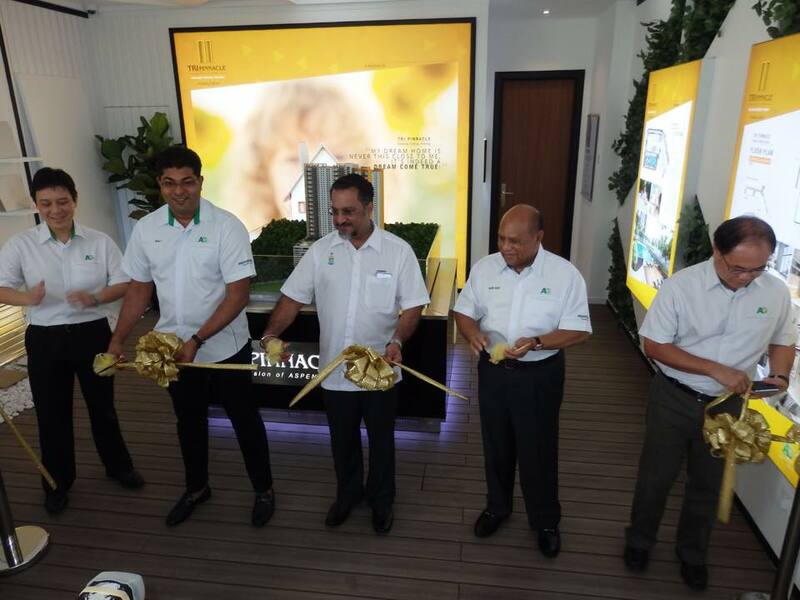 The first privately initiated Affordable Home Project by Aspen Group in collaboration with the Penang State Government, Tri Pinnacle, has opened its show unit on 21 November. 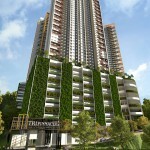 Eligible buyers as well as those who are interested to experience how it truly feels to live in a unit at Tri Pinnacle are welcome to make an appointment for viewing. The opening of the show unit was officiated by Yang Berhormat Jagdeep Singh Deo, Penang State EXCO for Housing and Town and Country Planning. Also present were Dato’ Seri Nazir Ariff, Chairman and Executive Director of Aspen Group and Dato’ M. Murly, Group Chief Executive Officer of Aspen Group. 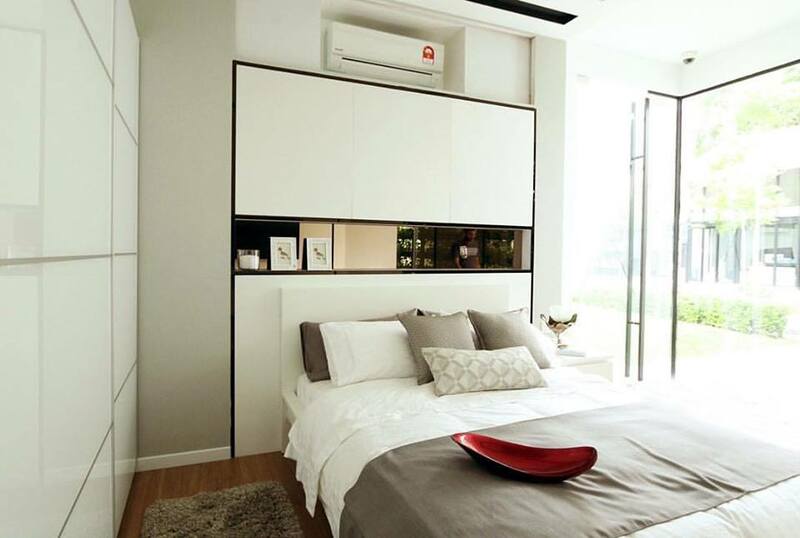 The show unit has been furnished with lKEA furnishing according to the upgrading package offered by the Group, with added touches to enhance the interior as well as to create that homely ambiance that homeowner desires. 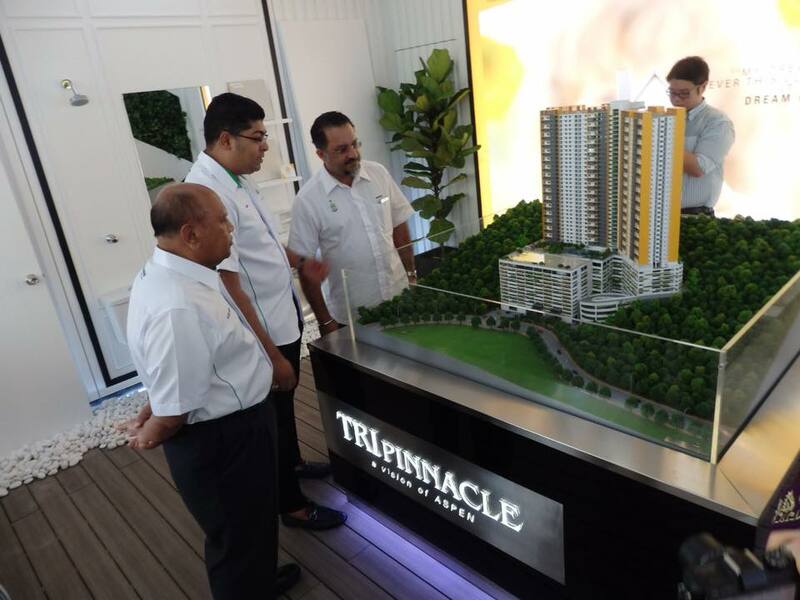 “I’m happy with the progress of Tri Pinnacle and the State Government will continue to work with private developers to provide more affordable housing choices to Penangites.” State Housing Committee chairman Jagdeep Singh Deo said. Tri Pinnacle is strategically located in Tanjung Tokong, one of the most sought after addresses in Penang Island which is only 10 minutes from the city centre. It is also well connected with access to reputable schools, commercial centres, shopping malls as well as entertainment and leisure facilities. 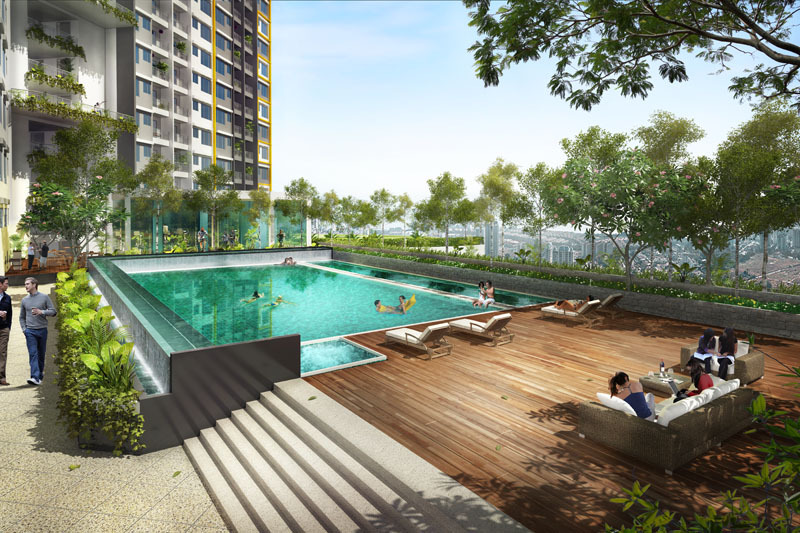 To not judge a book by its cover, Tri Pinnacle though under the Affordable Home Scheme, will provide amenities and facilities that can be rivaled with those of high end condominiums. Amenities such as swimming pool, wading pool, gymnasium, children playground, multipurpose hall, landscape area, viewing area and a lot more are those that buyers can expect for the affordable price that they pay. Its prime location with freehold land title in Tanjung Tokong, also sets it apart from other Affordable Home projects. “Now that we have complied with all the requirements after the changes of the new Strata Management Act, we will start the Sales and Purchase Agreement signing for every category, including the low medium cost apartment and regardless of which packages they opt for,” said Dato’ M. Murly, Group Chief Executive Officer of Aspen Group. Tri Pinnacle is currently under construction as earthworks have been done and construction work has commenced since last month. The completion of this much awaited project is slated to be in 2018. Eligible applicants are urged to register with the State Housing Department if they have fulfilled the stipulated terms and conditions set by the State Government. 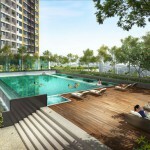 This development has a GDV of RM479 million and offers 859 units of affordable condominium with an 800 sq.ft. 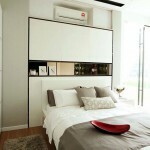 build up and 390 units of 650 sq.ft. low medium cost apartment spread across 45—storey tower. 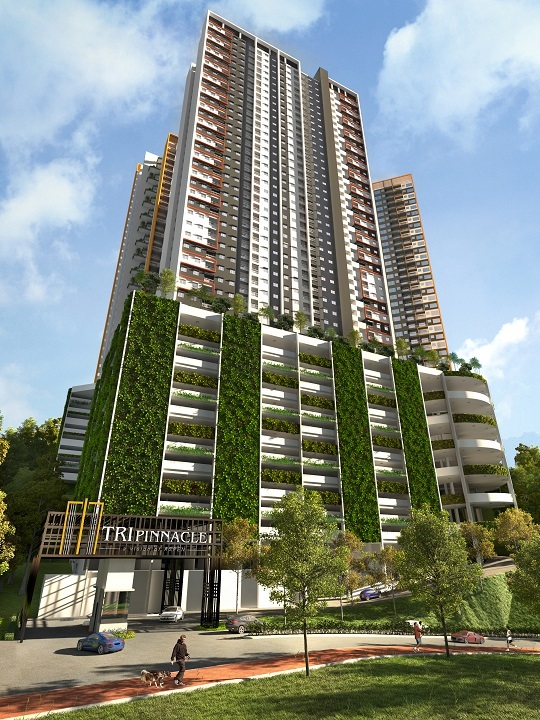 The Tri Pinnacle affordable condominium is priced at RM299,990 and eligible purchasers can also opt for the upgraded unit with enhanced specifications and an additional parking lot. Property buyers who do not fulfil the stipulated requirements set by the State Housing Department can also purchase Tri Pinnacle affordable condominiums by paying an additional 20% based on the standard price as state levy fees to the State Government. 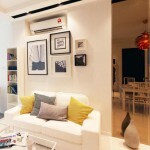 However, the public units are only limited to 30% out of the total units. 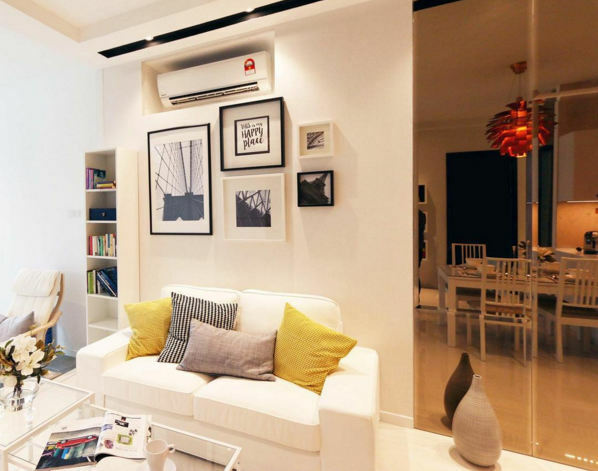 Interested parties can visit Tri Pinnacle’s show unit at Aspen Group, located at 300, Jalan Macalister or by calling Aspen Group toll free at 1800 30 5000. Show unit viewing is strictly by appointment only. I m interested with the Tri Pinnacle, please send the detail how to get it. Can i know more details about it ?